Renato Guttuso (Italian. 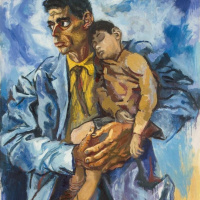 Renato Guttuso) (26 Dec 1911 or 2 January 1912, Bagheria, Italy — 18 January 1987, Rome, Italy) — Italian painter, graphic artist, honorary member of the Academy of arts of the USSR (1962). Born in the suburbs of Palermo, Bagheria. Father Gioachino Guttuso was Fasulo was a surveyor. The first drawing lessons, Renato received from rural masters involved in painting the carts. During high school, he attended the courses of the artist-futurist Pippo Rizzo. 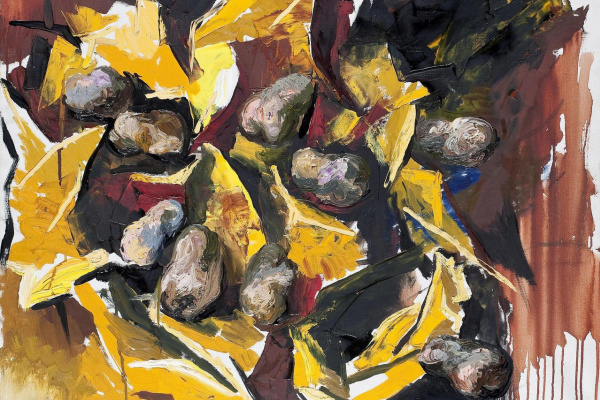 In 1931 Guttuso involved in Quadriennale — held every four years, the exhibition of Italian artists in Palermo, where two of his paintings were marked by criticism. In 1930 he joined the faculty of law at the University of Palermo. After a year left school and moved to Rome. Worked as a restorer in the Borghese gallery. 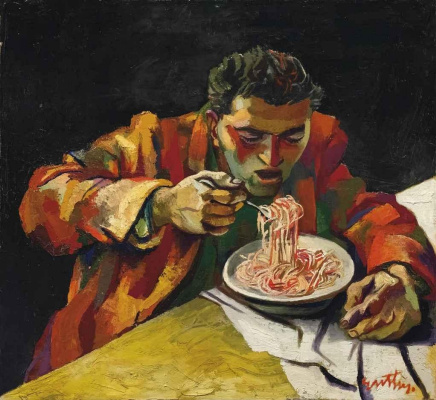 In Rome, Guttuso moving closer to artists, opposition to the regime of Mussolini. 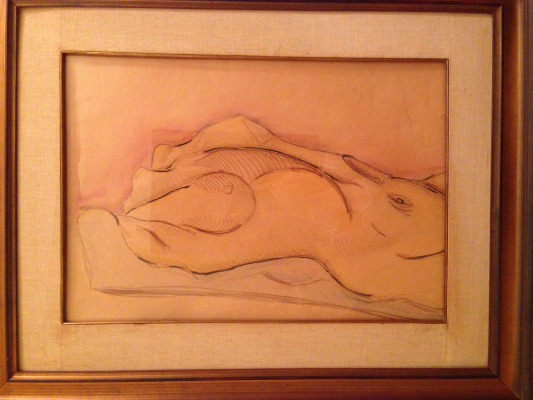 His article on Picasso (1933) in the newspaper "Ora" brought charges from censorship in violation of public safety. Includes (1938) in art group "Corrente" ("Current"), which publishes the eponymous literary magazine. 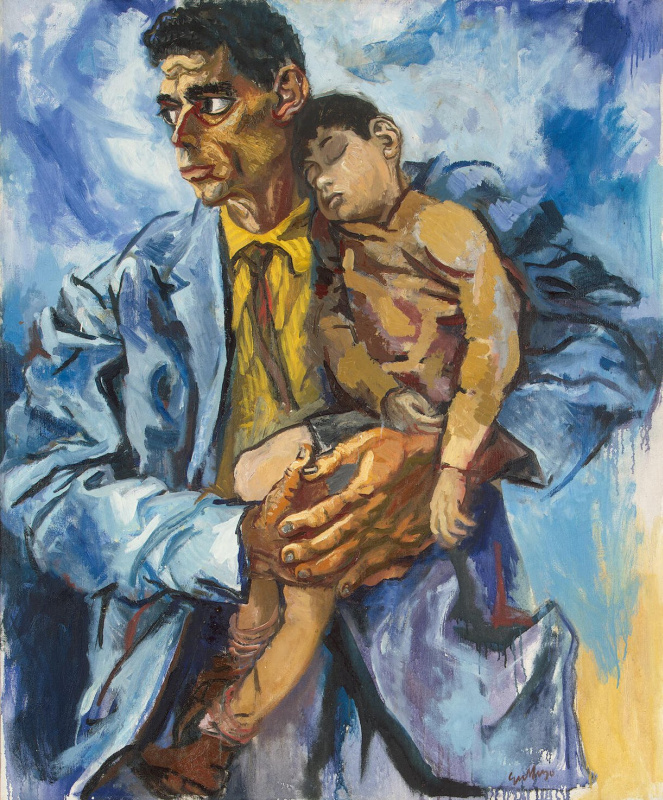 In 1940 Guttuso joined the Communist party of Italy (from 1956 to the Communist party). 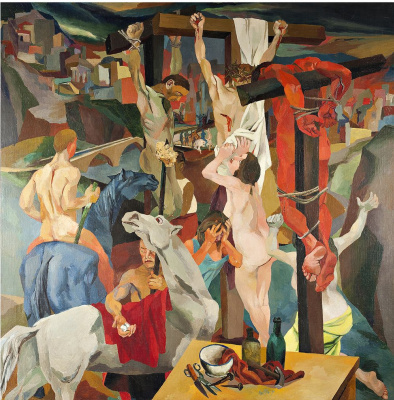 During the Second world war, Guttuso is one of the most famous of his works — "the Crucifixion", "I want to write that the execution of Christ as today’s scene… Christ as a symbol of all who today suffer abuse, prison, death for their ideas." The picture "Guernica" in the center of the composition the figure of the horse — direct quote of Picasso masterpiece. The painting "the Crucifixion" was exhibited at the exhibition "Premio Bergamo" (1942) and angered the Vatican. 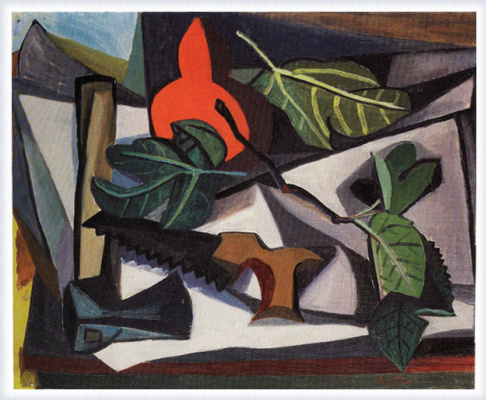 Since 1943, Guttuso member of the Resistance movement in the composition of the partisan brigades of the South. In 1946 — one of the leaders of the "New front of arts" (Fronte Nuovo delle Arti). "New front of arts" of United artists of different directions, which proclaimed as its goal the creation of new artistic values. In 1948 due to disagreements between realists and abstractionists Union fell apart. 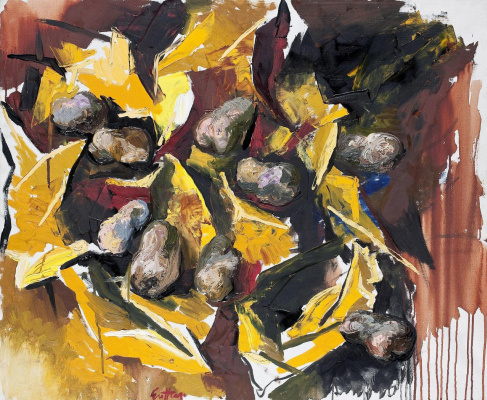 With Guttuso remained artists, practicing the realistic style of the image. Guttuso is a passionate man, a true southerner. Until today, looking for himself: he wants to combine Truth with beauty, and communism with the arts, which is love; he enthusiastically asked about Moscow and pious looked at Picasso; wrote large canvases on political topics and a little still lifes (especially fond of his potatoes in a wicker basket). 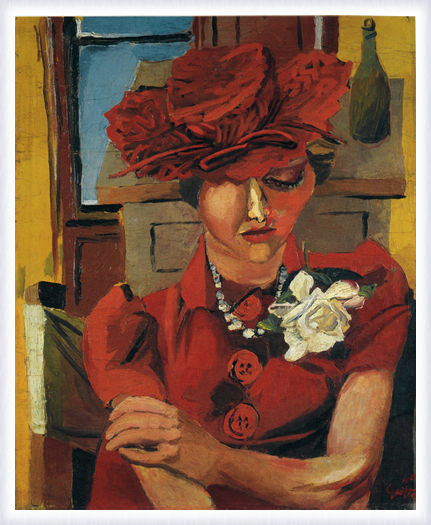 Ilya Ehrenburg "People, years, life"
The first solo exhibition of Guttuso took place in London in 1950. In 1951 he became a laureate of the world peace Council for a series of drawings "With us God!" on the death of 320 hostages in the Fosse Adrealine in 1944. This series was published in book form in 1945.